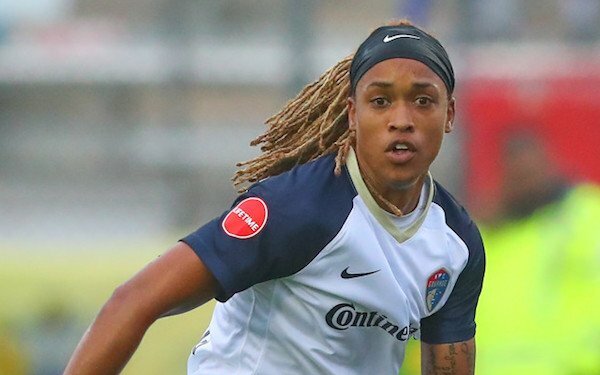 No one jumped around more to get to the 2018 NWSL final than Jessica McDonald -- six different NWSL cities in six seasons. And no one had a bigger impact on the final than the 30-year-old McDonald, who was named the game's MVP after scoring two goals to lead the North Carolina Courage to a 3-0 victory over the Portland Thorns in front of a sold-out crowd of 21,144 fans at Providence Park. McDonald scored the second and third goals to complete the most one-sided final in the league's history after Brazilian Debinha had put the Courage ahead in the 13th minute. The Courage became the first team to win both the Shield and postseason championship and finished with a record of 19-1-6 in NWSL play -- plus two wins in the International Champions Cup -- to complete the most dominant season in the league's six years. Williams was a part of the Western New York Flash when it won the 2016 NWSL title before its move to North Carolina. That followed stints at Chicago, Seattle, Portland and Houston in the NWSL's first three seasons. North Carolina coach Paul Riley had McDonald in Portland in 2014 when she scored a career-high 11 goals and had her at Western New York and with the Courage the last two seasons. "I don't think you can write a better script for Jess Mac," he said. "She leads the league in assists and I think that that was her 10th goal of the season. That's unbelievable." Riley said McDonald, who logged 1,865 minutes in 2018 compared to 1,122 in 2017, got better as the season went along. "She's fitter this year than last year, took care of herself more off the field and she's a mom," he said. "After practice, we go home and do a little bit of reading, the rest of them probably sleep. But this one has to work even harder with a kid, so I give her an amazing amount of credit. What a leader she's been in the locker room, what a leader off the field and it's good to have Jess. It was good in Portland when I had her and it was really good the last couple of years." Playing in the same city the last two seasons has meant a lot to McDonald, who has a 6-year-old son. "It's kind of nice for me [to find a home in North Carolina]," she said. "As a veteran, I've bounced around a lot in this league. I've finally found a home, finally found a place where I'm comfortable, where my kid is comfortable. That kind of comfort sort of gives me some kind of motivation." McDonald, whose brother Brandon played six MLS seasons and later for Guam, said that's meant less stress as a mom and as a pro athlete. "I've really wanted to stay motivated," she said. "There were times that I thought about retiring -- that's definitely crossed my mind a handful of times because I was bouncing around. I stayed motivated for my kid especially. I didn't want to give up so easily on this career." Portland 0 NC Courage 3. Goals: Debinha 13, McDonald 40, 64. Portland -- Franch, Klingenberg, Menges, Sonnett, Carpenter (Purce 90+2), Horan, Boureille, Heath, Sinclair, Crnogorcevic (Andressinha 68), Foord. NC Courage -- Rowland, Hinkle, Erceg, Dahlkemper, Mathias, Debinha (Hamilton 78), O'Sullivan, Mewis, Dunn (O'Reilly 87), McDonald (Jenkins 90+2).